TeleXitos, the national Spanish-language multicast network that delivers action-adventure series and feature films without subtitles, announced that Airwolf and Knight Rider will air on the network for the first time beginning Monday, January 2, 2017. 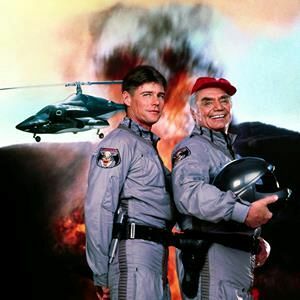 Airwolf will kick off TeleXitos' primetime hour at 8 PM ET / 7 PM CT and Knight Rider will follow at 9 PM ET / 8 PM CT. Making their Spanish-language debut in the United States, Airwolf tells the story of "Stringfellow Hawke," a renegade pilot that makes a deal with the U.S. Central Intelligence Agency (CIA) to find his missing brother. Originally aired in 1984 and starring Jan-Michael Vincent, the show's major player is the high-tech military designed helicopter, "Airwolf" operated by Stringfellow Hawke and his operatives on their espionage missions. 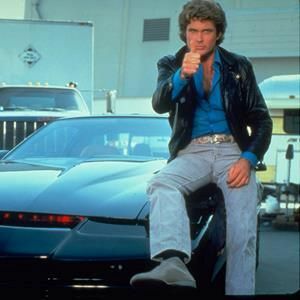 The 1980's classic show, Knight Rider, starring David Hasselhoff in his breakout role as a crime fighter, features the fan-favorite artificially intelligent Pontiac Firebird Trans Am, KITT. The series made its original debut on NBC in 1982 and aired for four years. Viewers can tune in to TeleXitos to watch Michael Knight and KITT take down criminals who operate above the law. Launched in December 2014, TeleXitos features action-adventure programming in Spanish-language, without subtitles. The network is available in 21 markets, including Los Angeles (KVEA), New York (WNJU), Miami (WSCV), Houston (KTMD), Dallas-Fort Worth (KXTX), Chicago (WSNS), San Antonio (KVDA), San Francisco Bay Area (KXTX), Phoenix (KTAZ), Harlingen (KTLM), Sacramento (KCSO), Fresno (KNSO), Philadelphia (WWSI), Denver (KDEN), Boston (WNEU), Atlanta (WKTB), Las Vegas (KBLR), Tucson (KHRR), Hartford (WRDM), Salt Lake City (KTMW). Additionally, viewers in West Palm Beach (FL) market will be able to watch the new TeleXitos programming over-the-air or on Xfinity channel 229. TBS's hit comedy series The Detour is making its way back for its second season, slated to launch with back-to-back episodes on Tuesday, Feb. 21, at 10 p.m. (ET/PT). Created, written and executive-produced by Jason Jones and Samantha Bee, The Detour stars Jones, along with Natalie Zea, Ashley Gerasimovich, Liam Carroll and Daniella Pineda. During the second season of this all-too-honest look at the family dynamic, Nate (Jones) receives a promising job opportunity, and the family moves to New York City for a fresh start. Everyone is excited except for Robin (Zea), who knows that a move to the big city means her mysterious past may catch up with her. While Nate and Robin adjust to new jobs, new neighbors and old flames, Jared (Carroll) and Delilah (Gerasimovich) dive headfirst into the awkwardness of adolescence. Despite questionable parenting and terrible decisions, the love the Parkers have for each other will keep the family intact as they endure another disastrous adventure. The second season of The Detour will feature a number of special guests, including series executive producer and co-creator Samantha Bee, as well as James Cromwell, John Oliver, Laura Benanti, Jeffrey Vincent Parise and Max Casella. The second season of The Detour is executive-produced by Jason Jones, Samantha Bee, Brennan Shroff and Tony Hernandez.